The vacant building at 17 Maple Ave. in Saratoga Springs—long a nightclub and most recently a high-end restaurant—is coming back to life. 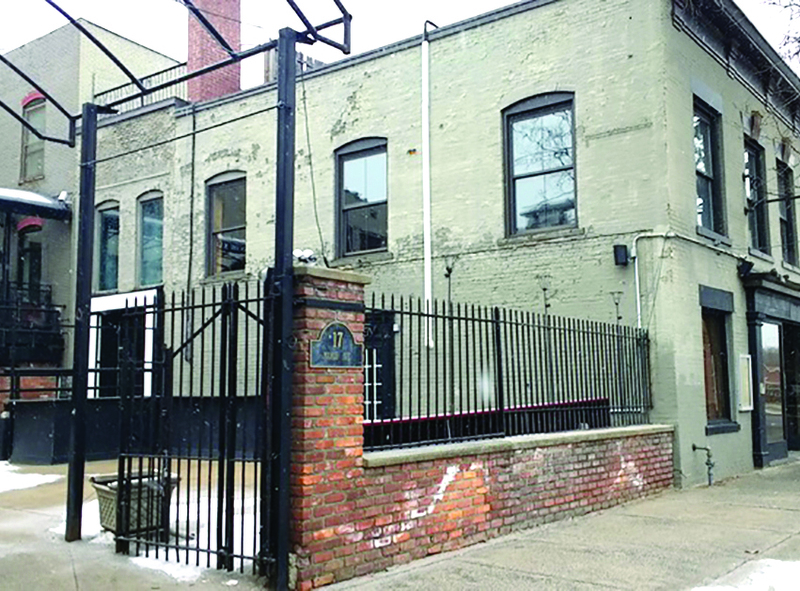 A new craft beer garden and restaurant, with an old-fashioned coin-operated game room—the Sinclair—is set to open perhaps by early this summer, according to Hillary Morrison, who will be the owner and operator. Morrison recently moved to the area from Los Angeles with her husband and two children. After years in operations management in Los Angeles at some of the city’s top venues, she said she is ready to realize her vision in the Sinclair. She is the daughter-in-law of local business owners Mark and Betty Straus. “Saratoga has an incredible sense of community and I am so excited to be a part of such a great town. The beer garden and game room will be a place where everyone can enjoy outdoor vibes, and have some nostalgic fun,” she said. The name, she said, comes from a restaurant of the same name that her great-great grandfather operated in Manhattan that was closed in 1925 for serving alcohol during the Prohibition. 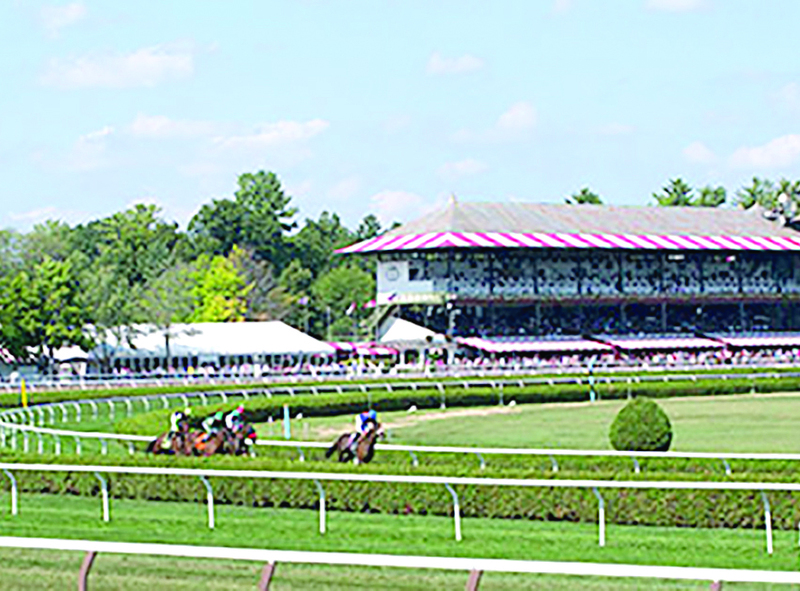 The latest proposal to privatize NYRA, which operates Saratoga Race Course, is ‘a step forward,’ says Todd Shimkus, Saratoga County Chamber of Commerce president, but needs some amending. Gov. Andrew Cuomo’s executive budget proposal includes a provision that would return New York Racing Association (NYRA) to private control. While those in the racing industry, including the Saratoga County Chamber of Commerce and the Concerned Citizens For Saratoga Racing, are not satisfied with its content. In 2012, Cuomo took control NYRA when it was $25 million in debt and had no systematic plan for investing in its facilities and improving customer amenities. A reorganization board was formed and was to serve through October 2015. But in June 2016, after being unable to agree to a legislative deal that would end NYRA’s state-mandated oversight, Cuomo extended state control for an additional year. There was mounting criticism for failing to return to the private sector control of the organization that operates Aqueduct, Belmont Park and Saratoga. This booth of Saratoga Modular Homes LLC was part of last year’s show. 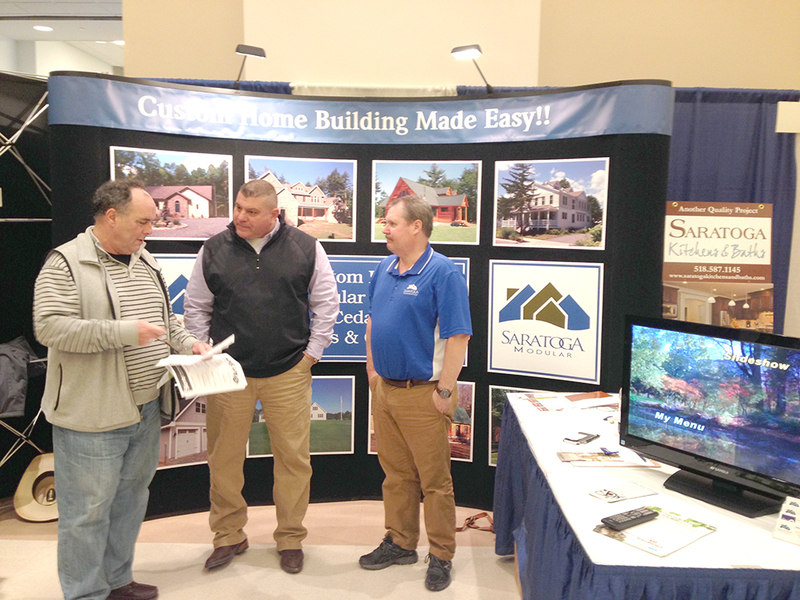 The Saratoga Home & Lifestyle Show, the Saratoga Springs Rotary Club’s largest annual fundraiser since 1973, will take place Friday through Sunday, March 3-5, at the Saratoga Springs City Center. Again this year, admission to the show is free of charge, courtesy of the show’s major sponsor, the Adirondack Trust Co. The event features 120 regional exhibitors showcasing a wide range of home improvement services, décor and furnishings, energy-saving products, outdoor living and landscaping, family recreation, and lifestyle products and services, as well as great prizes. The Rotary Club has organized an arts and fine crafts show on the second floor of the City Center, with artisans such painters, photographers, wood crafters, sculptors, jewelers, botanical artists, and wine and spirits makers selling their work. Also on display will be artwork from Saratoga Springs High School students. Other event sponsors include Allerdice ACE Building Supply (door prizes), The Saratogian (advertising), Saratoga Today (magazine), and Mannix Marketing (media). Jenifer Lynne Martin is chairperson of the Chamber of Southern Saratoga County board. The Chamber of Southern Saratoga County (CSSC) traces its roots to a local business organization founded in 1967 to support the twin towns of Clifton Park and Halfmoon, once considered rural “flyover country” to people headed to more popular destinations. Some 50 years later, the 1,070-member organization is the Capital Region’s third largest chamber, serving 18 communities. It is a leader in the marine, manufacturing, agriculture and transportation sectors, and its Saratoga County Community Development Program has provided a new perspective on “bottom-up” economic development, according to its president and CEO, Pete Bardunias. He said to better direct the organization’s programs, the Chamber 2017 strategic plan is based on the “3Cs”—Connections, Commerce and Community. This approach looks at things from the voice of the “customer” (member), concentrating chamber efforts in areas that provide the most value for the membership investment, based on input from focus groups and workshops. To facilitate these changes, staff roles and responsibilities have changed also, he said. Working alongside Bardunias are Vice President of Marketing and Membership Connections Nigar Hale, Vice President of Community and Professional Development Liz Roggenbuck, Operations Manager Sheila Whinnery, Membership Consultant Sandy McAlonie and several part-time staff for the Information Center at the Northway Exit 9 rest area. 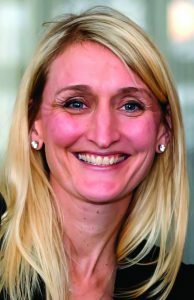 Leading the board this year is Chairwoman Jenifer Lynne Marten, an AVP/commercial relationship manager at Ballston Spa National Bank (BSNB). The Summit at Saratoga, an independent senior-living community for adults 55-plus in Saratoga Springs, promoted Christy Durant from senior living consultant to community manager. In her new position, the Wilton resident will supervise the day-to-day property management, including hiring and training new staff. She is also responsible for leasing the facility’s 110 apartments, as well as overseeing all aspects of the community’s marketing activities. Durant, a graduate of Providence College, launched her career as director of resident services at Sakonnet Bay Manor in Tiverton, R.I. She held other positions in Rhode Island, including director of marketing and sales at East Bay Manor in East Providence and executive director of Greenwich Bay Manor in East Greenwich. 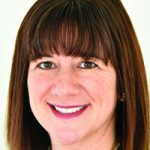 Upon returning to the Capital Region, the Amsterdam native worked as executive director of the Crossings at Saratoga Springs, director at Avila Retirement Community in Albany and director at Woodlawn Retirement Community in Saratoga Springs. She holds an MBA from the University at Albany. 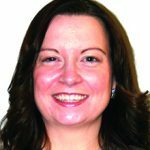 First New York Federal Credit Union announced that Heather Parent has been promoted to assistant branch manager of the company’s Saratoga branch. She was previously the support services supervisor of the Operations and Support Services Department at First New York’s Headquarters from 2015-2016. Prior to joining First New York Federal Credit Union, Parent worked for Community Resource Federal Credit Union in Latham as a Visa coordinator, member service representative and member service/operations supervisor. 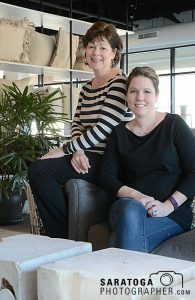 Janet Longe, left, and daughter Jamie Davies operate 23rd and Fourth Interior Design. After four successful years in business, 23rd and Fourth Interior Design studio and showroom has moved to a new location at 130 Excelsior Ave. in Saratoga Springs. Formerly located in Franklin Square, the mother/daughter ownership team of Janet Longe and Jamie Davies said that it was time to expand into a larger space. “We were busting at the seams and we were also looking for a space that gave us more visibility,” said Davies. Originally, Longe and Davies had considered building their own space. They were in the process of looking at plans for a 6,000-square-foot showroom and studio when Davies happened to drive by the building on Excelsior Avenue that was recently completed by Bonacio Construction. Davies said that she might have missed out on it if she, her husband, and their two young children had been at her parent’s summer house on Brandt Lake. That is when Davies drove by the property. The ceiling-to-floor glass windows had just been installed and Davies said there was something special about the look of the building. It wasn’t as big as they were looking for, but when they went to see it, Davies and her mother were both sold. 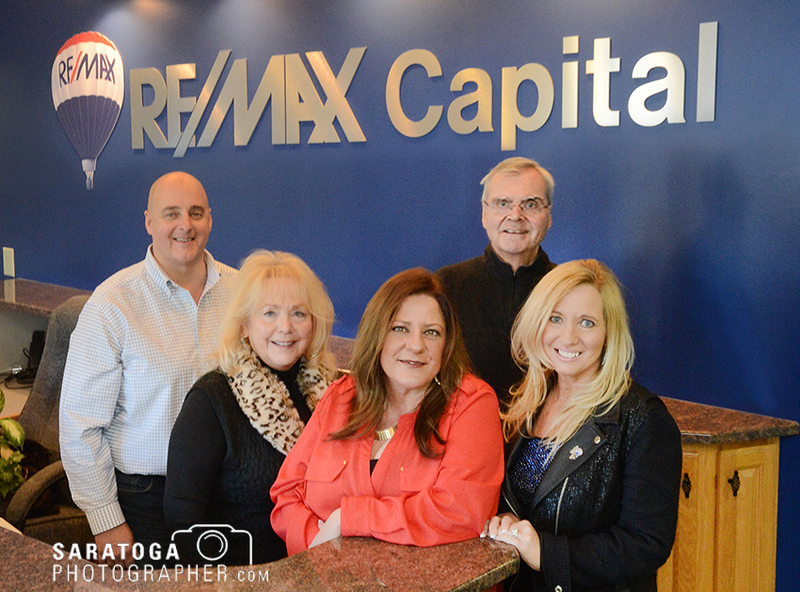 RE/MAX has expanded its real estate operation and longtime presence in the Capital Region with the opening of a new office at 1795 Route 9, Clifton Park. Broker/owner Theo D’Amico, a veteran real estate broker, said it was opened to meet the growing demand for quality real estate services for savvy home buyers and sellers. 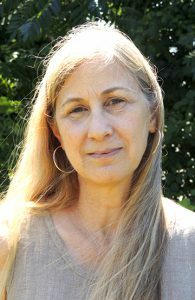 RE/MAX Capital, which has been part of the RE/MAX System in New York for over five years, is located in Albany at 1704 Western Ave.
Suzanne Golub operated Life in Balance and Shaanti Energy Healing. New Ballston Spa resident and business owner Suzanne Golub wants to help people achieve the healthiest and best version of themselves. She has integrated both of her specialties to provide a holistic approach to health and healing. She is a reiki master and certified holistic health coach and offers services through both of her businesses, Shaanti Energy Healing and Life in Balance. Shaanti Energy Healing offers reiki healing sessions, a way to manage stress, re-energize and re-align the body. Reiki is an ancient Japanese art of energy healing, where the practitioner uses their hands to channel the recipient’s energy flow and open any blockages. Golub said blockages can occur from physical illness, stress, emotional upset and other factors. Reiki is used widely to complement traditional medical and alternative treatments, including pre and post-surgery and during chemotherapy. The recipient lays on a massage table fully clothed and the practitioner moves around the body holding their hands above the energy centers to release any blockages. New York state has made $4.2 million available to support programs providing training to building operations and maintenance workers on best practices to reduce energy use and energy bills in buildings across the state. The funding will advance the state’s goal to transition to 50 percent renewables by 2030 and reduce energy use in buildings by 23 percent over 1990 levels, officials said. He said the funding is part of a broader statewide effort under the Clean Energy Fund to offer customized technical assistance to increase energy efficiency and drive greater use of renewable energy resources in commercial, industrial, multifamily and institutional buildings, and schools. This training will help advance the state’s clean energy efforts because as energy use is reduced in buildings, fewer renewable energy resources will be needed to reach the 50 percent renewables goal. 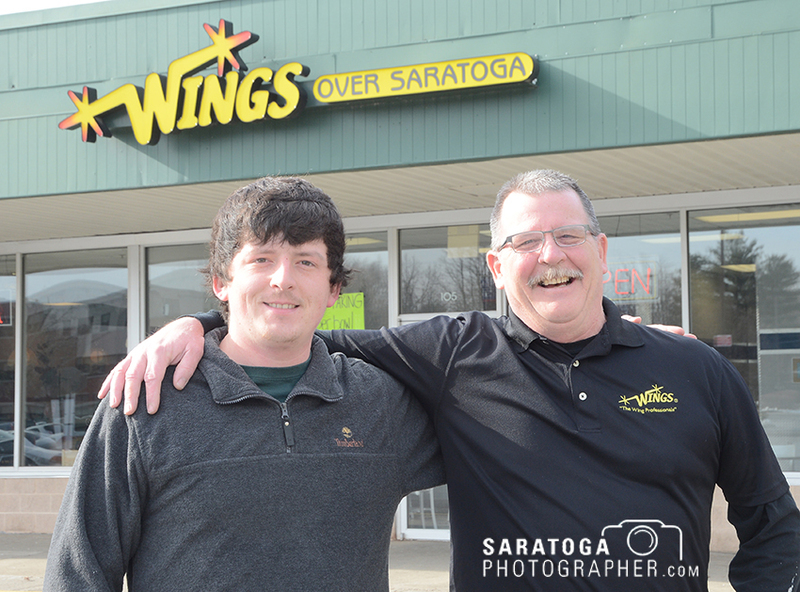 Joe Hill, right, and his son, Tanner, are owners of this store, Wings Over Saratoga, located at 103 West Ave. in Saratoga Springs. They serve a variety of foods for take-out or delivery. Upstate New York, football season and wings. It’s a winning combination that the new Wings Over Saratoga owners counted on. Joe Hill and his son, Tanner, have been running the wing restaurant for over a month and Hill said they are excited about the initial response. “Thing are going really well. Of course it’s football season, so with wings and football, you can’t go wrong,” said Hill about the weeks leading through the Super Bowl. Hill said Tanner worked with the previous owner for 10 years as assistant manger and when they were ready to go into a different direction and sell the business, they looked to his son. Hill said he went into business with his son after working in the building trade sector for over 30 years. He was considering different business options, but eventually felt that working with his son would be a positive experience.